„A day without laughing is a day wasted.” Even though Charlie Chaplin said those words quite a long time ago, they couldn’t be more accurate for nowadays. While the British actor managed to make people smile without any single word in his movies, various designers do the same with their collections. Especially for this spring/summer season, they definitely knew how to keep us amused and entertained. Let’s make it a happy spring – this sounds like a perfect motto of the month! Christopher Kane surprises us with T-shirts with a printed washing machine, Loewe spreads some fancy elf vibes and Balenciaga just introduced Crogs to the era of high fashion. Are all designers running out of ideas? As if! Actually, fashion has not been that funny for ages. The upcoming posts will demonstrate how fashionable humor can show up in different ways. Thinking of the rather unhappy socio-cultural situation, the antithesis of the fashion world comes in quite refreshing. At the same time, it’s nothing new that musicians have relied on funny sides of life in order to create songs, which make you feel happy – listen more in the upcoming Carmify Playlist. Moreover, the annual Met Gala is taking place on May 7th. We are already curious about the red carpet gowns and outfits of the guests of Anna Wintour, Amal Clooney, Rihanna and Donatella Versace. 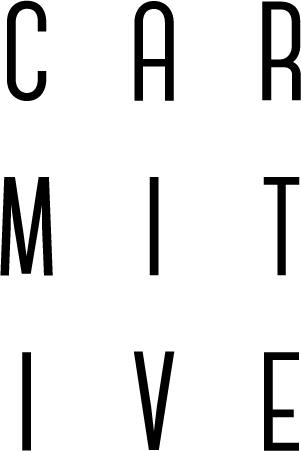 Besides the most important evenings of fashion, two new categories will be released on CARMITIVE: stay tuned for the first posts of the Carmitive Column and Style to Watch. So who has already smiled today? Either way, an extra dose of humor will help you with everything you do. Maybe you have to turn a blind eye. But who knows if a little wink causes a real moment of happiness. Therefore, just stick to this credo: shake off all your worries, enjoy those spring vibes and don’t take yourself too seriously. We wish you a month full of happiness and joy! P.S. : for an extra dose of laughing, watch the latest CARMITIVE Lookbook video and wait until the end for some funny outtakes! In collaboration with About You. 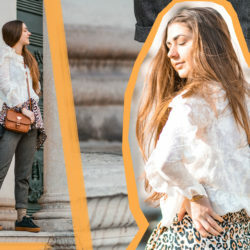 Lookbook #6: Goodbye Comfort Zone, Hello New Sneakers! 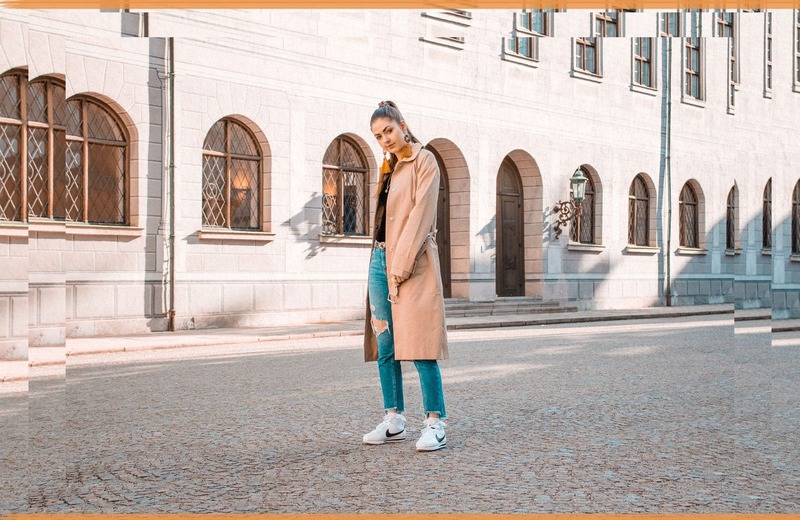 Posted in Editorial, Fashion & Outfits and tagged Camel Coat, Classics, Editorial, Fashion, Inspiration, Musthaves, Style, Things to love, Tips, Trend. Bookmark the permalink. Oh thank you very much Melanie! Love how you have styled this look and the trench is perfect. Oh thank you very very much! Ooh I love your trench, love the more modern and contemporary cut of the classic trench! The way you have styled the trench with the one shoulder top and the tassle earrings is so interesting and chic! Don’t know if I said it enough but always have loved the way you make collage of your pictures! oh thank you very much for your lovely words! This means very much to me Ankita! Definitely smiling after this post! You look amazing! Oh this makes me so happy too! Oh thank you very very much! Same to you! The coat looks superb on you! Loving that trench coat! You look so fashionable, girl! Thanks for sharing! Oh thanks so much for your feedback Emily! Looking gorgeous babe!! Love this classic trench and how you paired it with some pretty tassels!! Oh thank you very very much Jessi! Love this outfit, that coat is gorgeous! 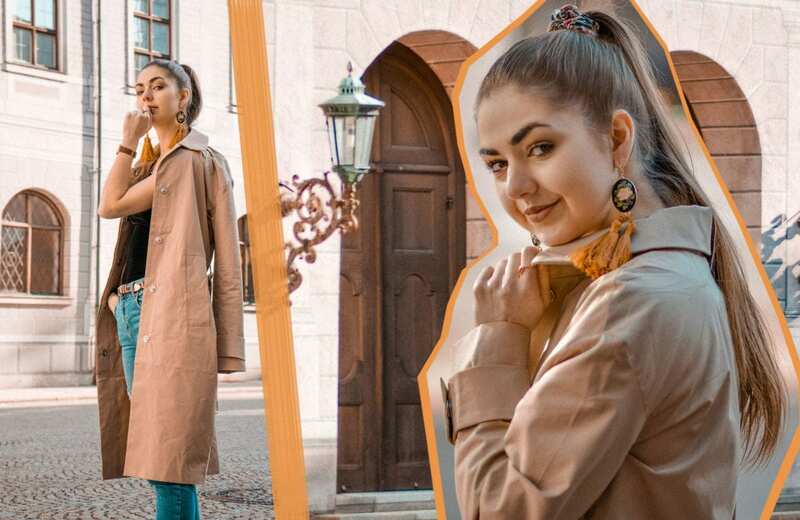 Sehr schöne Bilder und ein ganz toller Look! Ja ohne Humor wäre es langweilig und traurig im Leben! Sehr tolles Post und super schöner Mantel! Those are great words! Laughter is seriously the best medicine! And I love this look. So chic and classic! Oh thank you so much, this is so true as well! Ich könnte mir nicht vorstellen, auch nur einen Tag ohne lachen auszuhalten … Humor ist einfach so wichtig, wie ich finde 🙂 Abgesehen davon siehst du mal wieder absolut hinreißend aus, liebe Carmen! I am loving this look, lady- that trench is awesome! Oh thank you very much Ashley! Oh thank you very much Melina! 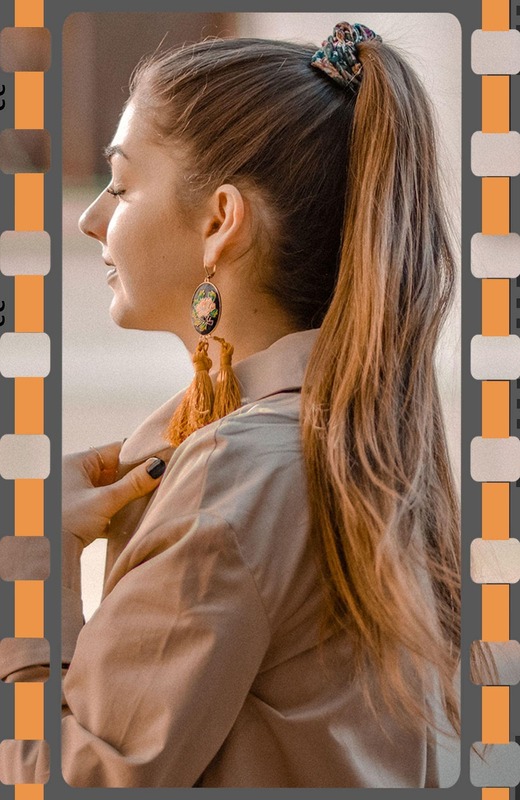 Loving these gorgeous statement earrings and trench coat! Thank you veryyy much Jessica! Oh thanks so so much dear! You look so pretty and I just love the layout of your blog! It’s so professional looking. Well done babe! Oh thank you very much Kristen, this feedback means a lot to me! Oh thank you very much Susanne! Have a great day! toller Look übrigens auch wieder meine Liebe! Da hast du völlig recht! Danke dir Tina! Oh vielen Dank meine Liebe! Der Trenchcoat ist wirklich klasse! Super Look! You look gorgeous babe! Love the earrings on you there! This outfit is just perfect or the season! Oh thank you veryyy very much Didier! the accessories go perfectly with this look! Oh manyy many thanks Yuka! Amazing pictures, I really like your jacket! Thank you very much Rosanna! Gorgeous trench you got there dear. Such a classic coat. Love the casual style with the distressed denim and Nikes too. oh many thanks my dear! viiielen vielen Dank meine Liebe! I really like your coat, so fab! Such a cute look Carmen! 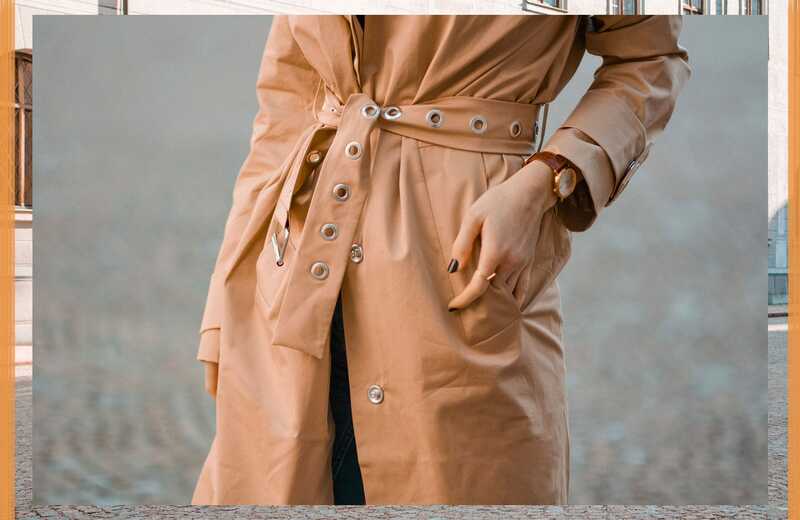 I adore trench coats for spring, it’s my favourite staple and you wear this so beautifully! And of course, I can’t live without humour, it’s like my oxygen! Have a lovely weekend babe!